Are your guest or room toilets wall-mounted? Can they handle 700lbs, 600lbs, 500lbs? No, most toilets, especially wall mounts are only good for 250lbs! 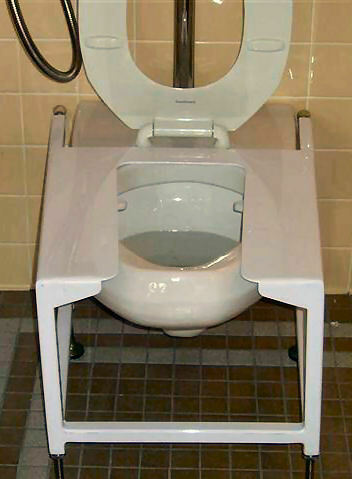 Enter our Toilet Reinforcement System: Easy to set, easy to clean, and fits almost any toilet! The rubberized adjustable feet and the product weight makes sure it doesn't move easily once it's set, and the adjustable rubber wall protectors insure that your walls won't get scarred up.